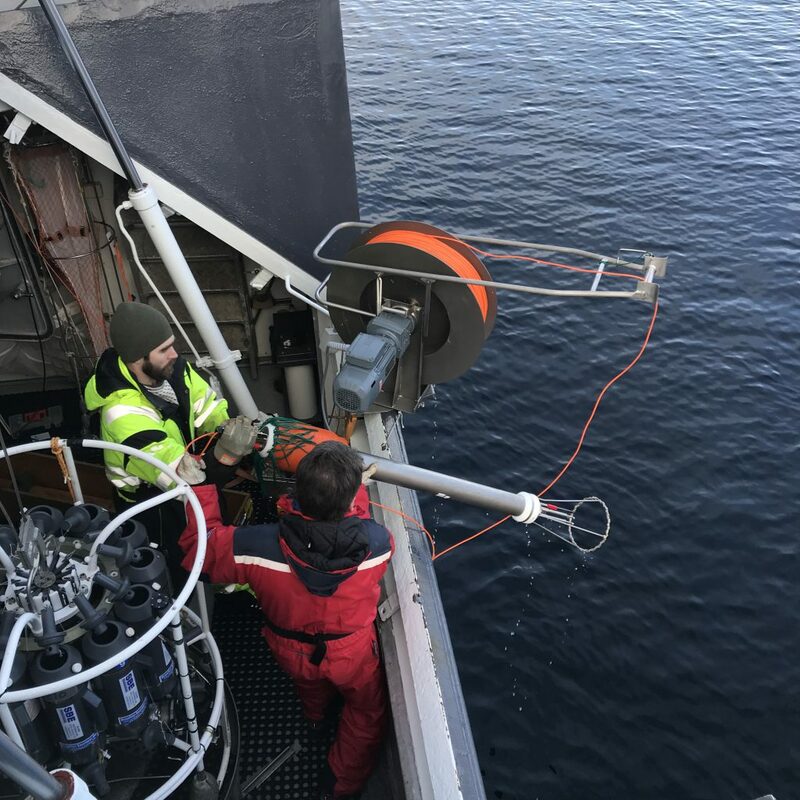 In the picture below, you see the MSS being deployed: It’s a slim instrument, maybe 1.5m in length, that is attached to an orange cable that runs on a small winch. At the end of the instrument that sticks over the railing in the picture above, you can make out little pins, protected by a metal cage. Those are the sensors for both temperature and velocity shear, both measuring at very high frequency, many many times per second. They are also very sensitve, so in the picture below you see the wooden crate that is used for storing the instrument in between stations. 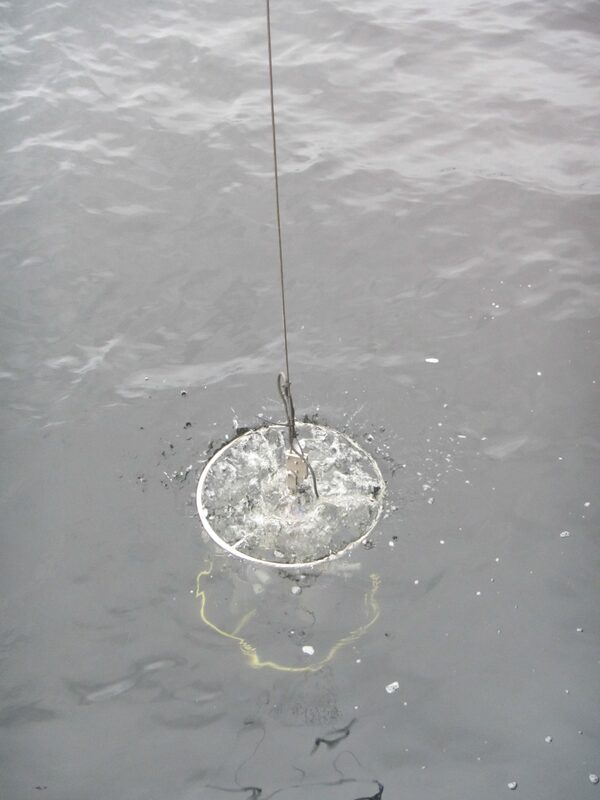 Once the instrument is deployed into the water, it is not just lowered down in the way a CTD is, but it has to be free-falling through the water. In order to achive that, the person running the winch has to constantly watch the cable going into the water to make sure there is some slack on the cable. 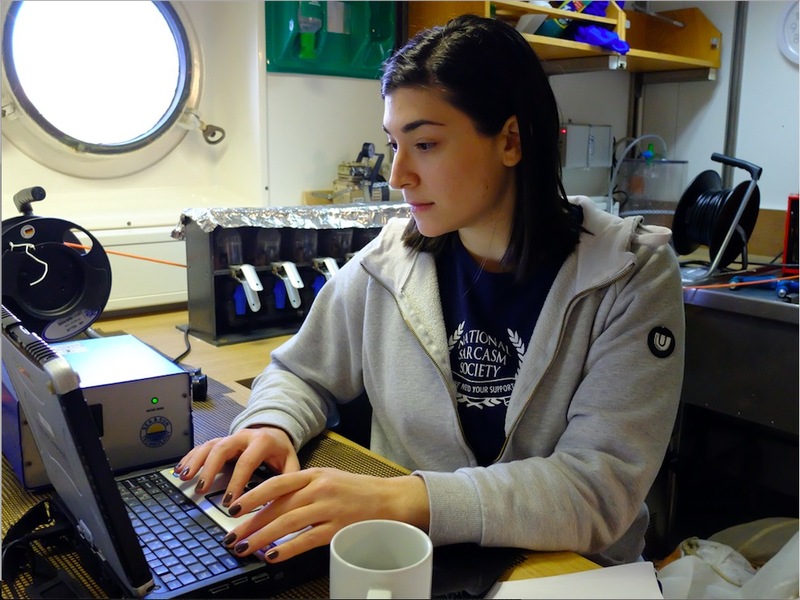 A second way to make sure the instrument is free-falling is to constantly monitor the incoming data on a PC onboard the ship. Looking at the picture of Algot below, you know that the instrument must be on its way up. Why? Because there is clearly no slack on the cable! 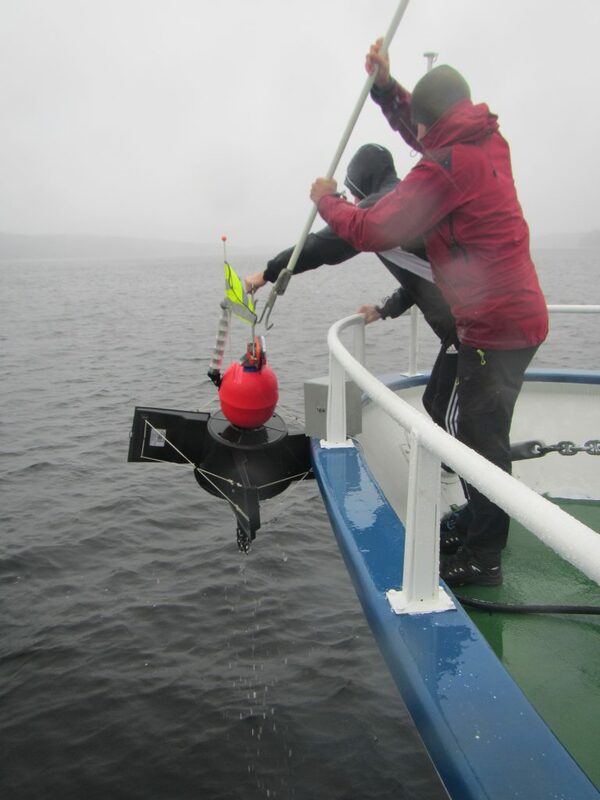 In the picture below, do you see the green fringe on the instrument, as well as the rope slung around the metal protection cage thingy for the sondes? Those are there to make sure that no eddies (and especially no trains of eddies) develop while the instrument is falling, because if the instrument was vibrating or moving in some way other than just falling freely, that would influence the data we measure. The instrument is then brought back on board, and we are ready for the next station! And which spots did we measure turbulence in? 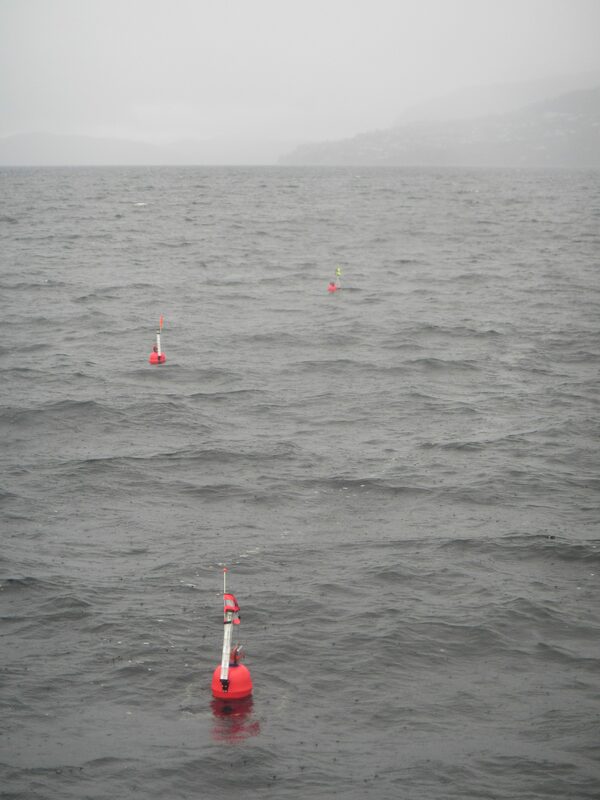 In many, but especially on either side of the fjord’s sill, because that’s where we expect mixing due to tides going in and out (which we also saw in the fjord circulation tank experiment!). 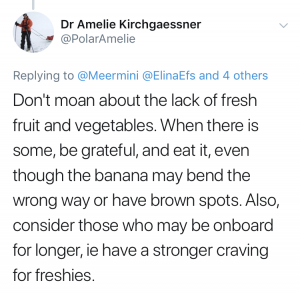 This entry was posted in research cruise and tagged FF Kristine Bonnevie, GEOF337, microstructure, MSS, research cruise, student cruise, turbulence, VMP on February 14, 2019 by mglessmer. Very early knowledge about oceanography stems from beach finds that had to have been transported to that beach from far away because the finds themselves (pieces of trees, or coconuts, or whatever) were not native to their finding places so the ocean must have provided a connection between their place of origin and the beach they ended up on. And in early oceanographic research, messages in bottles or even wood pieces marked with identifying numbers were deployed at known times and regions and then recovered wherever they made landfall to get a better idea of ocean currents. And as oceanography got more and more sophisticated as a discipline, such lagrangian (i.e. 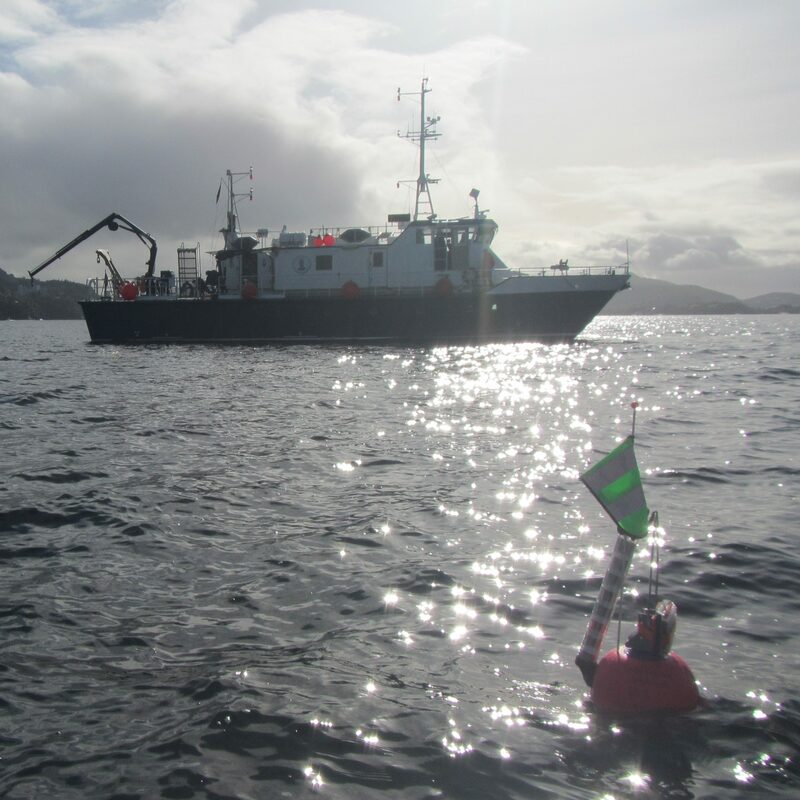 current-following) data has become an important part of oceanographic research, especially over the last two decades with profiling ARGO floats. ARGO data is available to anyone and, via its Google Earth interface, easily accessible in teaching. 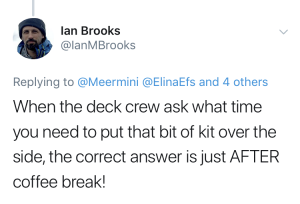 But of course this is only a passive resource, you cannot deploy drifters wherever you would like for teaching purposes. Now imagine if you had cheap drifters* available for use in teaching, how cool would that be? 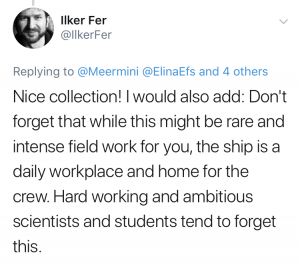 While in our case the drifters were developed and built before the class started, discussing design criteria with students would be a really interesting task in an applied oceanography course. 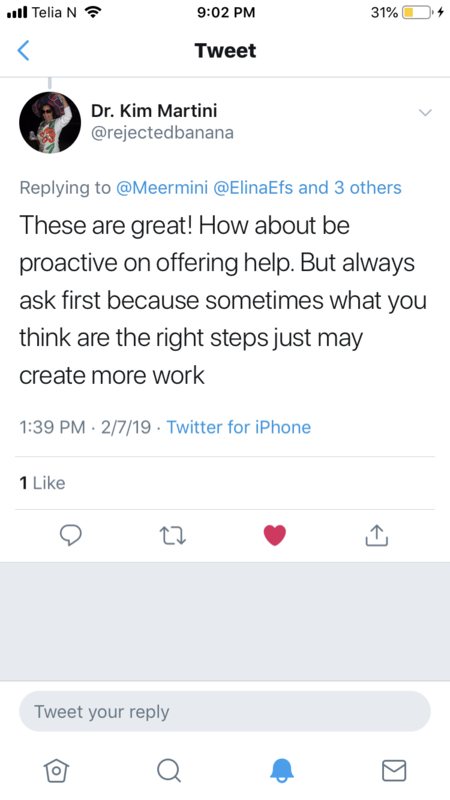 The design we ended up working with with is described here. Building those relatively cheap drifters provided us with the opportunity to have students handle them to learn to use oceanographic instrumentation without them, or us, being too concerned about the welfare of the instrumentation. 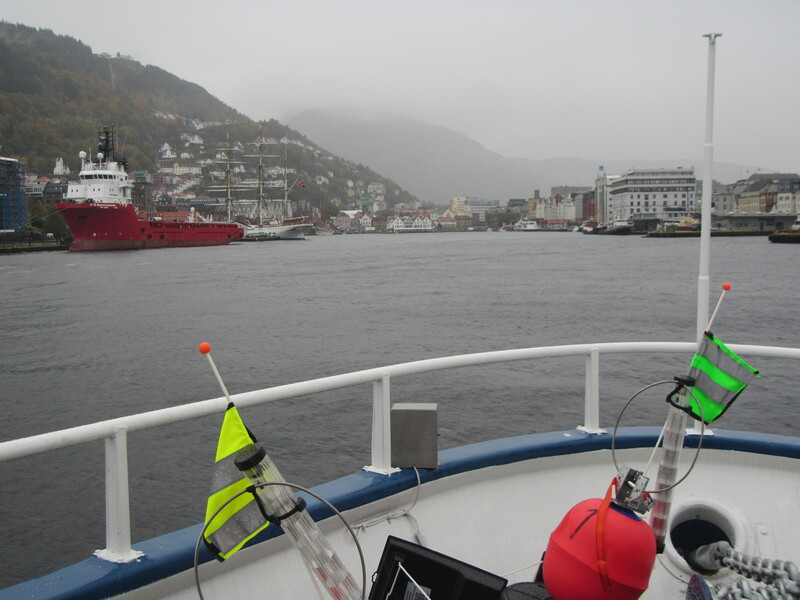 It also provided us with a fleet of four drifters that we could deploy and recover on four day-long student cruises and have them right in the vicinity of where we were taking Eulerian measurements at the same time, so we would end up with a complementing data set and could discuss the benefits of each of the two kinds of measurements and how, when they come together, they tell a much more interesting story than any of them could on their own. 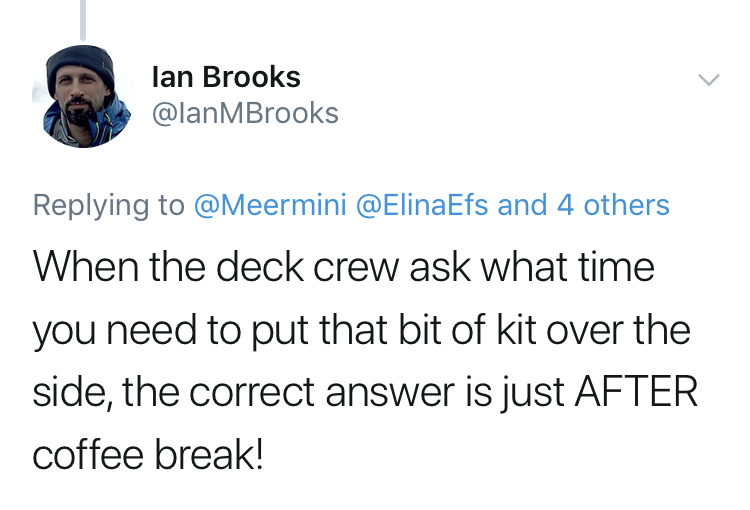 If you have a limited number of drifters available (four in our case), you have to think long and hard about where to deploy them. 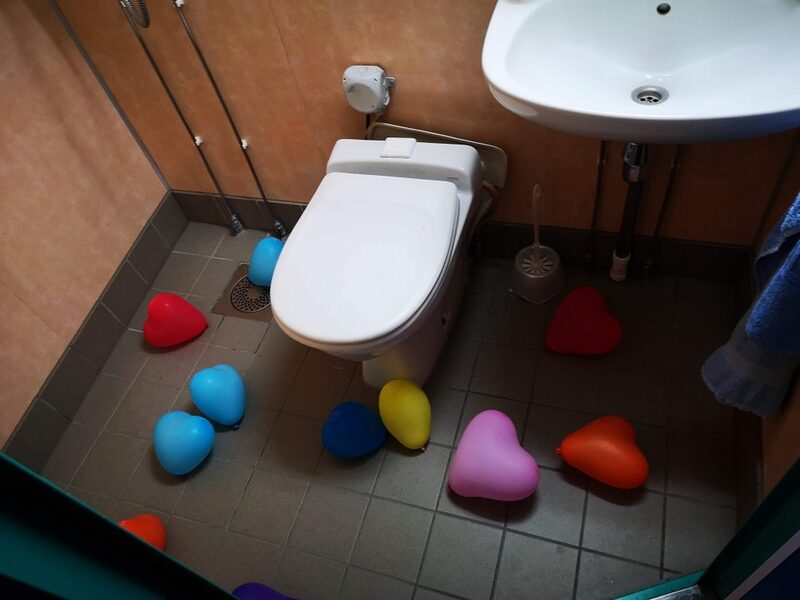 Of course you can just dump them into the water anywhere and see where they end up. 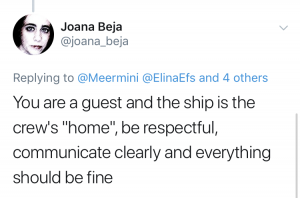 But in order to figure out the best spot, it is really helpful to have a clear idea of what influences the currents in the regions you are interested in, and what path the drifters might take, depending on the location of their deployment. On the three first days of the student cruise, we saw the drifters move against the predicted tidal current (“predicted” tidal currents, because we didn’t look at direct observations of the tidal current, so we don’t actually know if it is behaving the way the prediction predicted) and, at times, also against the main wind field. 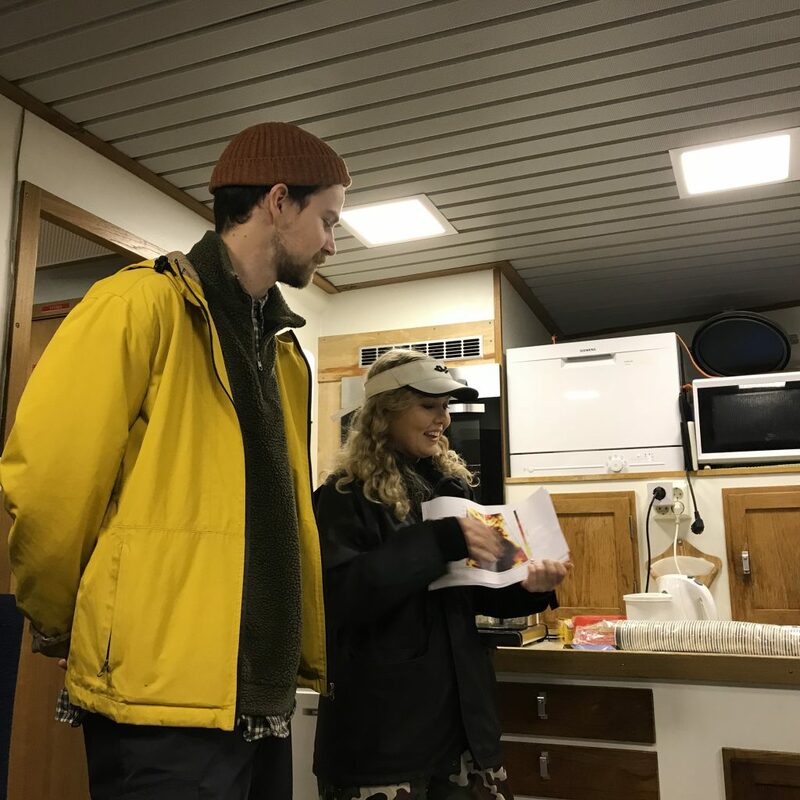 Nevertheless, we expect the wind to have a large influence on the flow in the surface layer, hence the day at sea starts with a briefing on the weather forecast. In addition to thinking about a deployment strategy for specific weather conditions, it is helpful to think about how trajectories from different days will be compared to each other. 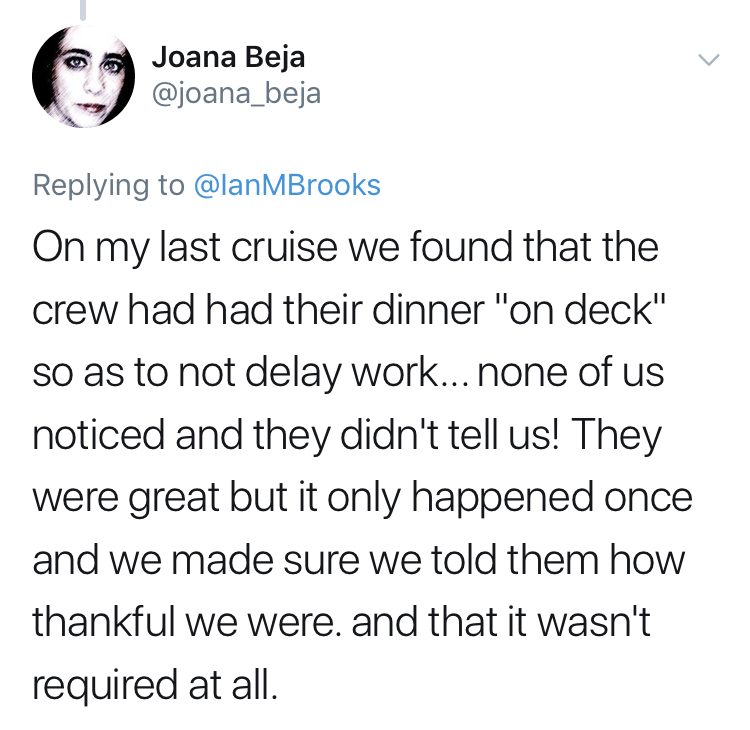 Therefore we chose to deploy on two sections over four days, thus repeating each section twice. 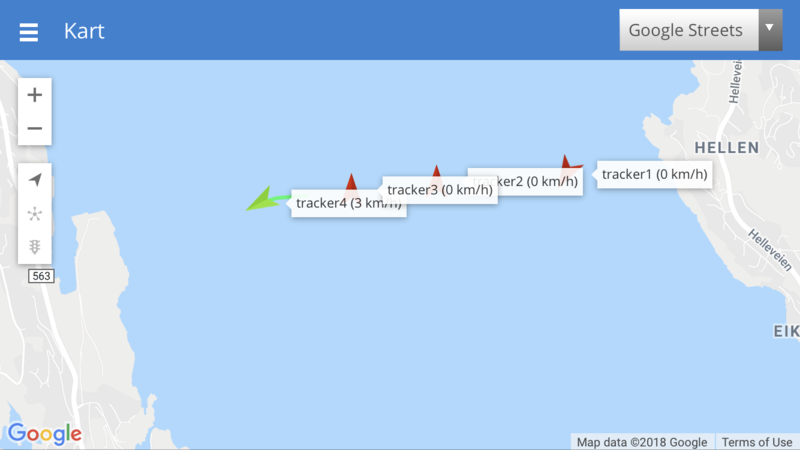 There are many ways to track drifters. 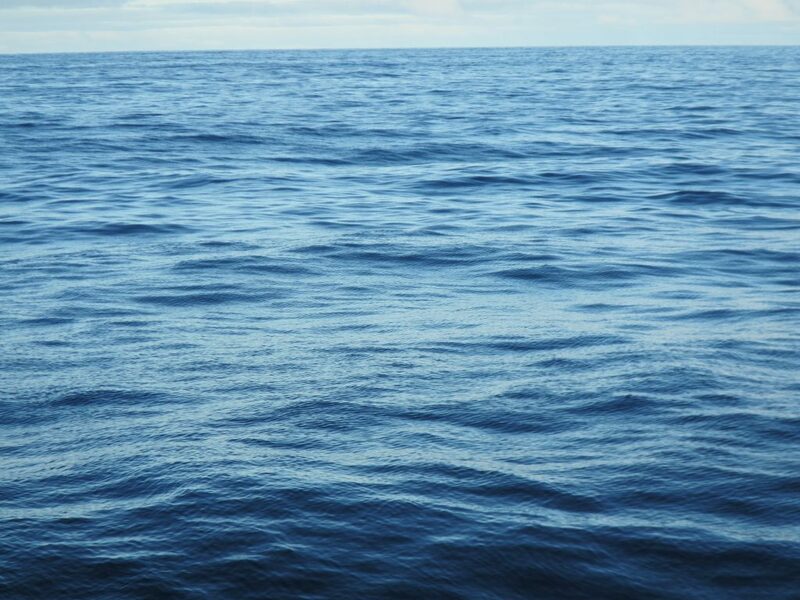 In the early days, acoustic signals were used to know where drifters moved within an array of sound sources. These days, most tracking is done using GPS. In our case, we used readily available GPS tracking units that were then mounted on the drifters (see below). Looking at the features of the GPS units we used, they were apparently mainly designed to tracking cars when you’ve lend them to your kids. In any case you can set alarms if velocities are too high, if they leave a pre-defined area, etc.. Interesting to see what kind of products are on the market! Looking at how to track the drifter, i.e. the specifications of the GPS sender, might also be a very interesting exercises to do with students. How often should it “call home”, what battery lives are needed, how will the data be transferred, where and how can it be accessed, stored, processed? Even when you know where to deploy the drifters, that doesn’t tell you how to deploy them. 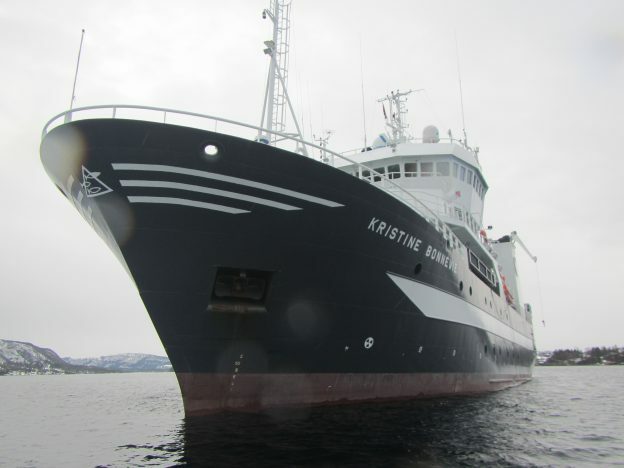 And even from a small research ship like the Hans Brattstrøm it is not immediately obvious how to do it. 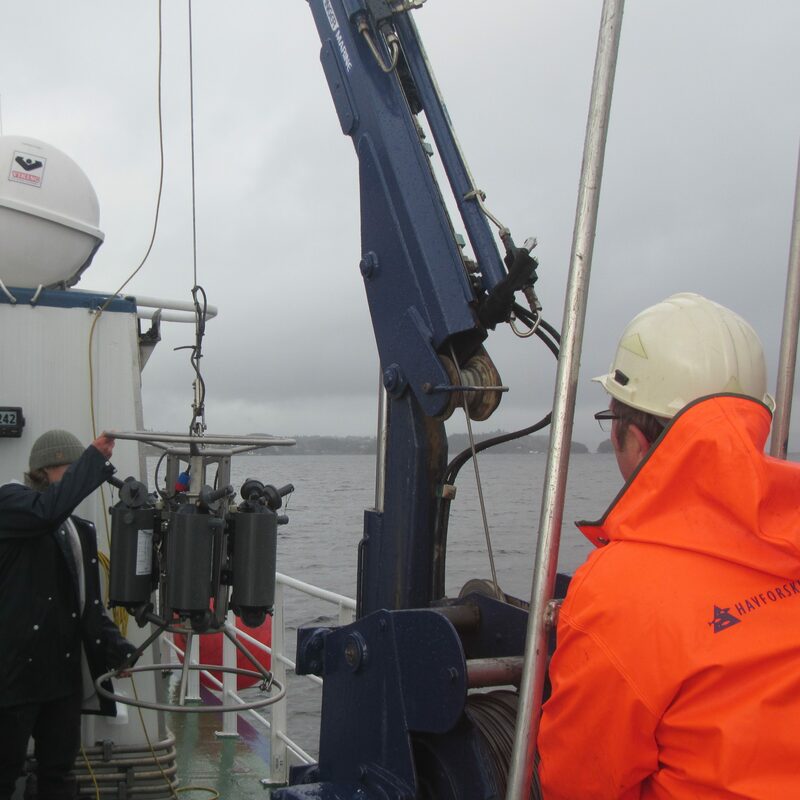 Very good reality check on how difficult it is to get instrumentation in place to measure oceanographic data! Speaking of oceanographic data — how do you actually interpret it? Below you see a snapshot of our four drifters in action. 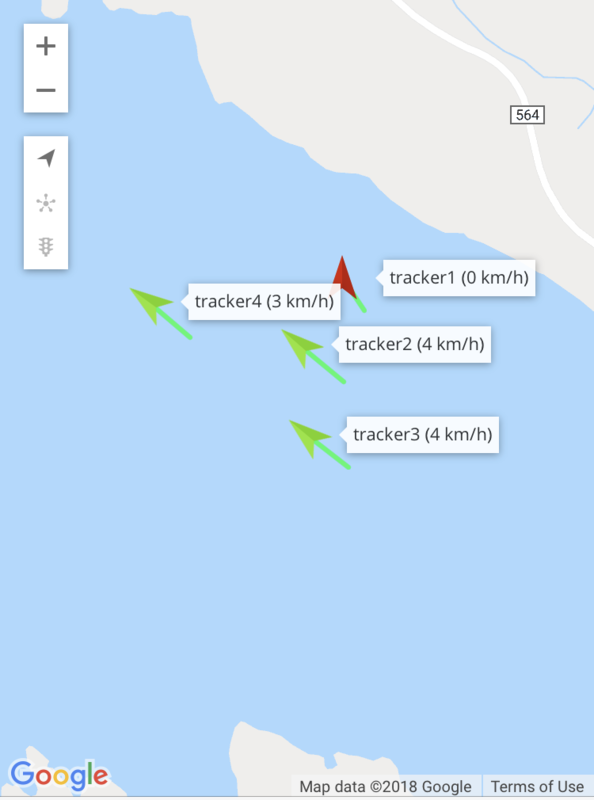 This is actually on of the more interesting times when it comes to velocities: We do have two drifters moving with 4km/h and then one with less than 3km/h (which shows up as not moving because of some algorithm in the website). 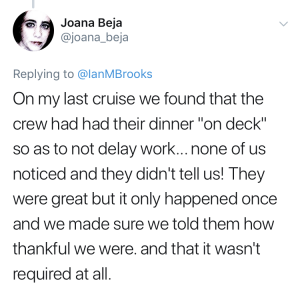 But what does this actually tell us? Interpreting drifter data becomes very difficult very quickly when you are in a flow field that changes over time. We did have the tidal forecast and the wind forecast, but both only in a coarse resolution in space and time and so it gets really difficult to imagine how they might have influenced the currents and thus the trajectories of the drifters! 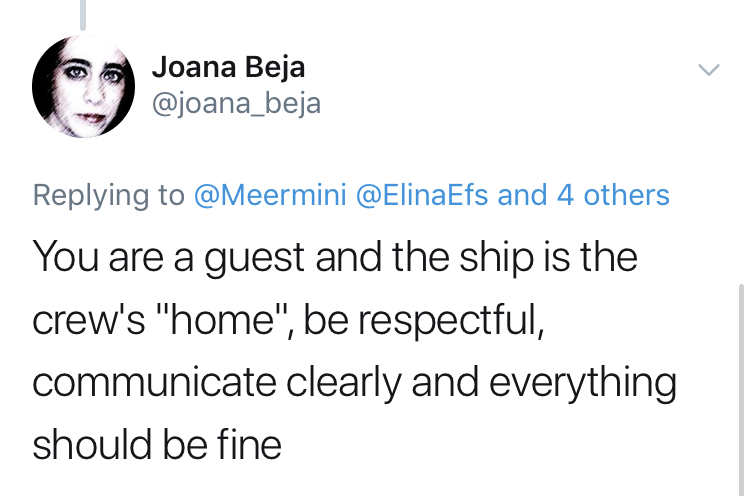 Even in a fjord that is sheltered from the wind and big waves of the open ocean, the sea is still a harsh environment and large forces will act on the drifters. If we want to be able to recover the drifters in one piece, we have to make sure that they are actually sturdy enough to stay in one piece. One of our drifters capsized for unknown reasons. Luckily Algot was still able to recover it! 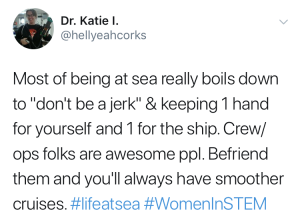 Another point to consider is how much buoyancy a drifter will need to stay afloat, yet to be submerged enough into the water to actually follow the surface current rather than being pushed through the water by winds, or pushed over by the winds as the one above. 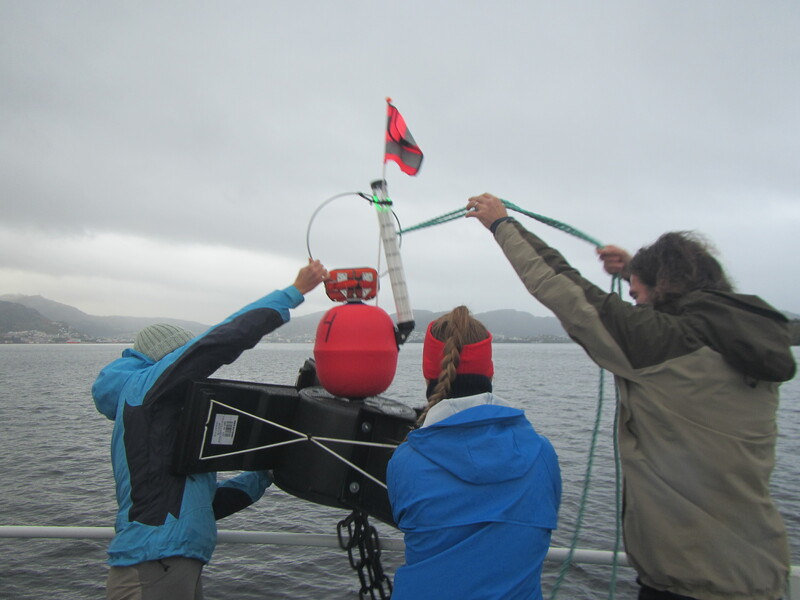 As we think about how to protect the drifter from damage, we also need to think about how we can make sure the drifter stays upright so the GPS antenna stays above the water level. 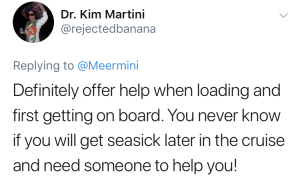 Even with fairly good visibility and low waves, and despite the brightly colored flags and radar reflectors on the drifters, they were pretty difficult to spot! 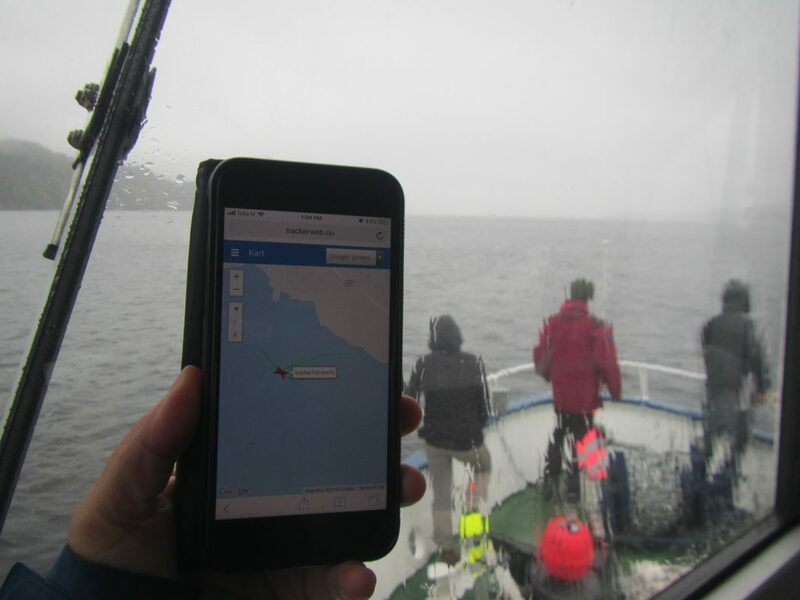 Even though we can see the drifter’s position through an app on my phone, it is really difficult to spot it out on the water! 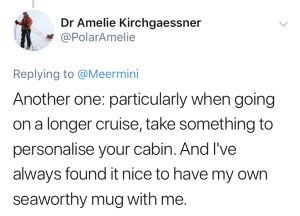 Even on a small vessel like the one we used for the student cruise, the water is actually pretty far away from where you can stand on the deck, so recovering a bulky and heavy item out of the sea is not as straight forward as one might think! 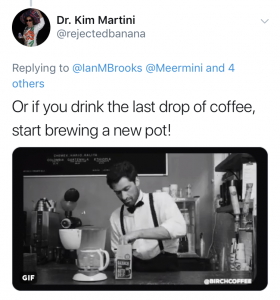 This is not something I can cover in this post, of course — it’s what Inga will do for her Master’s thesis. Below, you see her plotting trajectories from the four days together with the predicted wind fields of the respective days. At which depth range did we place the anchor of the drifter, i.e. what “surface current” are we actually tracking, the real surface, or an average over the top 0.5 meters, or the top 1 meter? And what would “average” even mean? 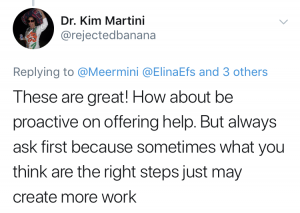 Or something else? 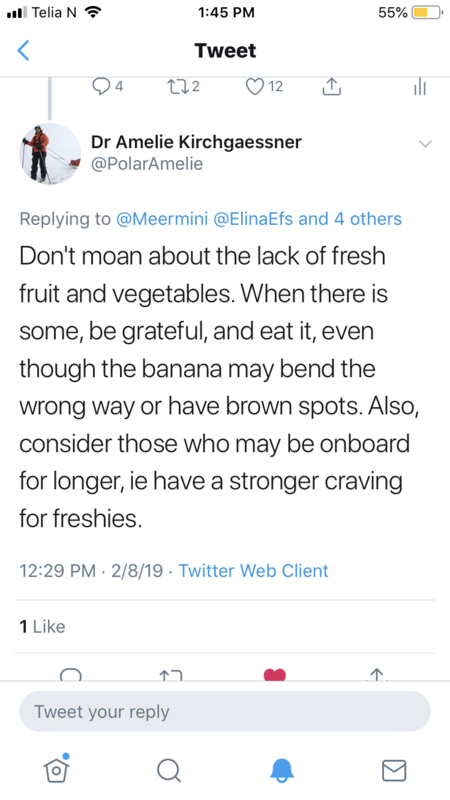 When we have Eulerian data from, say, tidal gauges, weather stations, etc, how do we bring those together with the Lagrangian data provided by the drifters? Knowing what we know now, what could we learn for future deployment strategies? There are so many super interesting questions to be discussed using this fairly inexpensive instrumentation that it is a great opportunity that should not be missed! 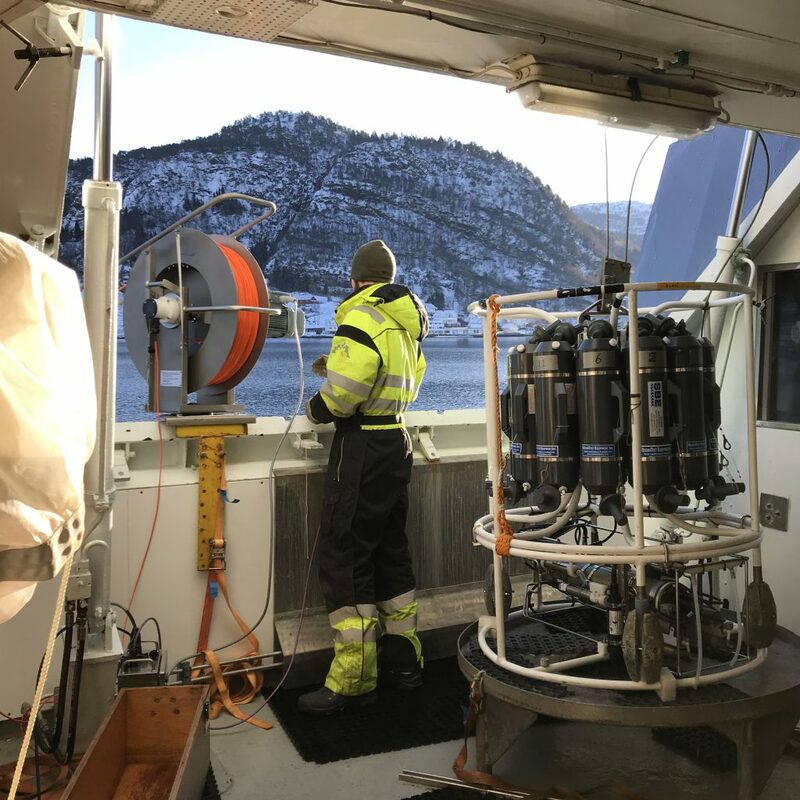 This entry was posted in observation and tagged Bergen, drifter, GEOF105, research cruise, RV Hans Brattstrøm, student cruise, surface drifters on January 19, 2019 by mglessmer. 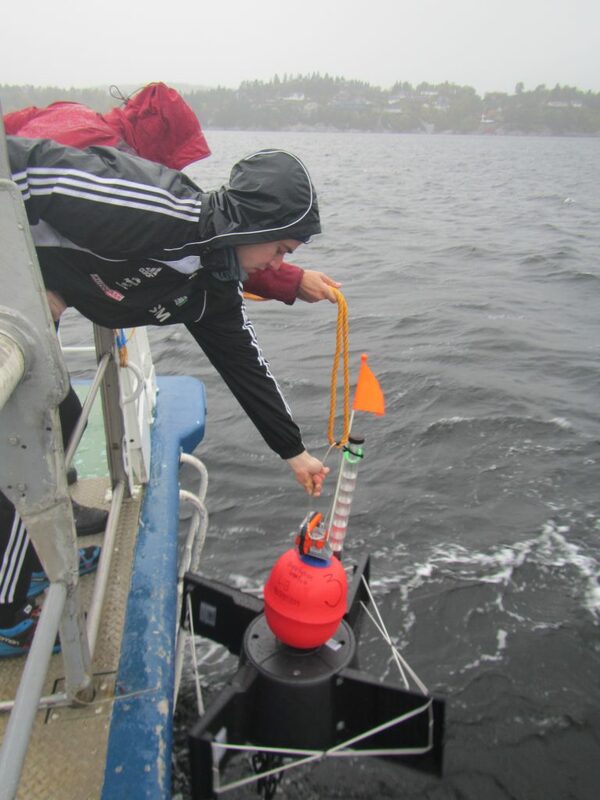 For Lars Henrik and Harald‘s GEOF105 class we are deploying home-made surface drifters on the student cruise. Today I had the opportunity to join the cruise again, and since the weather today made for beautiful pictures, I just have to share them here. 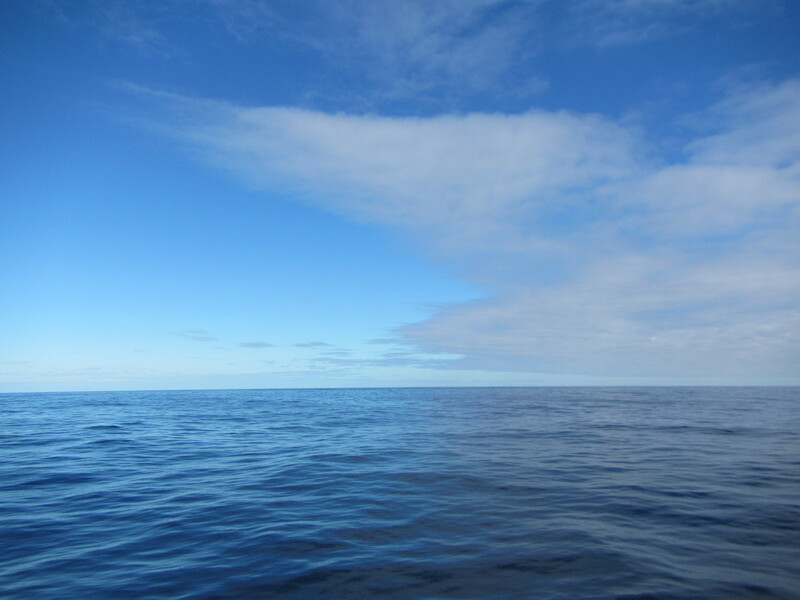 First, at the end of every rainbow, as we all know, you’ll find … home-made surface drifters! 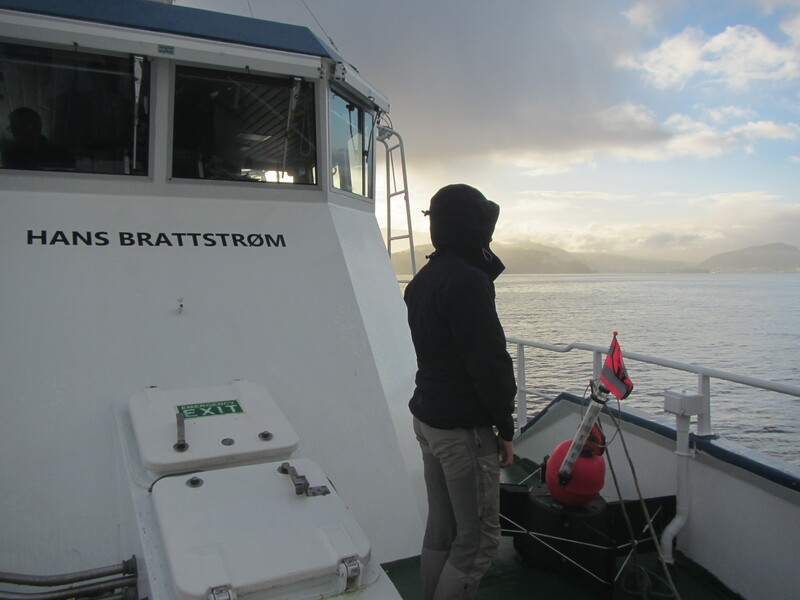 The research ship we are on is the Hans Brattstrøm — cosy ship with a super nice and helpful crew! 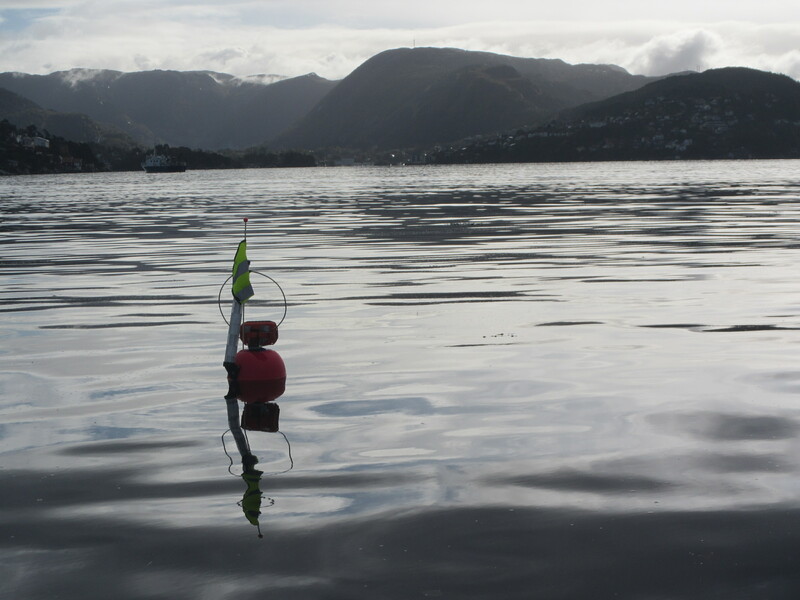 The drifters themselves are equipped with a sea anchor made from a plastic bucket and four paint roller trays underneath a buoy, and then on top all kinds of equipment to make sure nobody runs over it: A safety flag, a lamp, a radar reflector. And, of course, the GPS sender! Isn’t it cool how those wave rings radiate from our drifter? Another amazing day “at sea”, thanks for having me along, Lars Henrik! 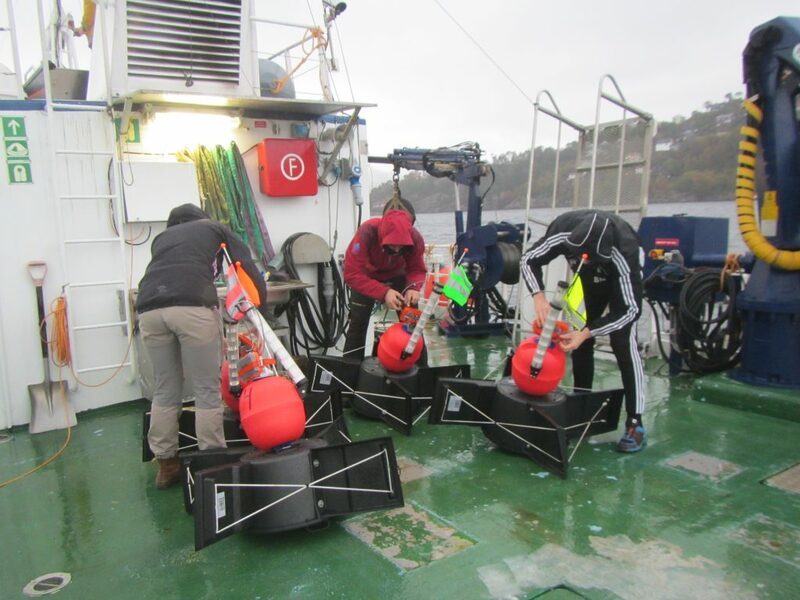 This entry was posted in observation and tagged Bergen, drifter, GEOF105, research cruise, RV Hans Brattstrøm, student cruise, surface drifters, trajectories, trajectory on October 3, 2018 by mglessmer. 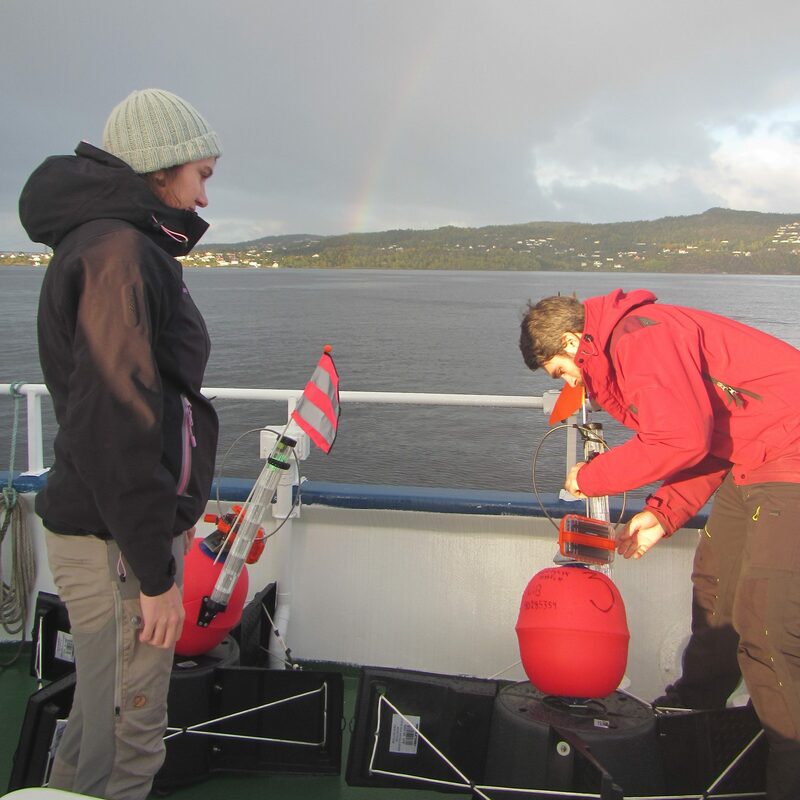 A big part of any oceanographic research cruise: Taking water samples. 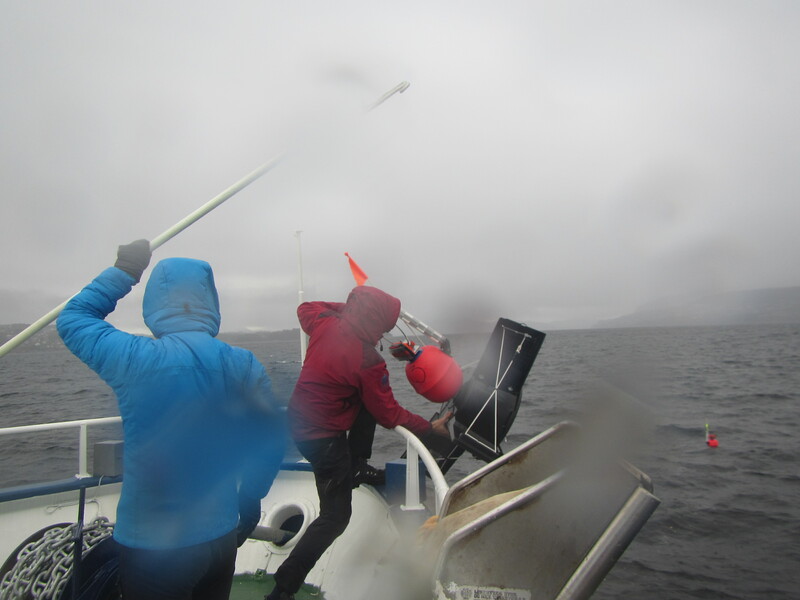 Here is a group of students practicing how to arm Niskin bottles that will go into the ocean open on both ends, and that will then, when the whole rosette is on its way up again, be closed one after another at depths that promise to be interesting in terms of water properties. 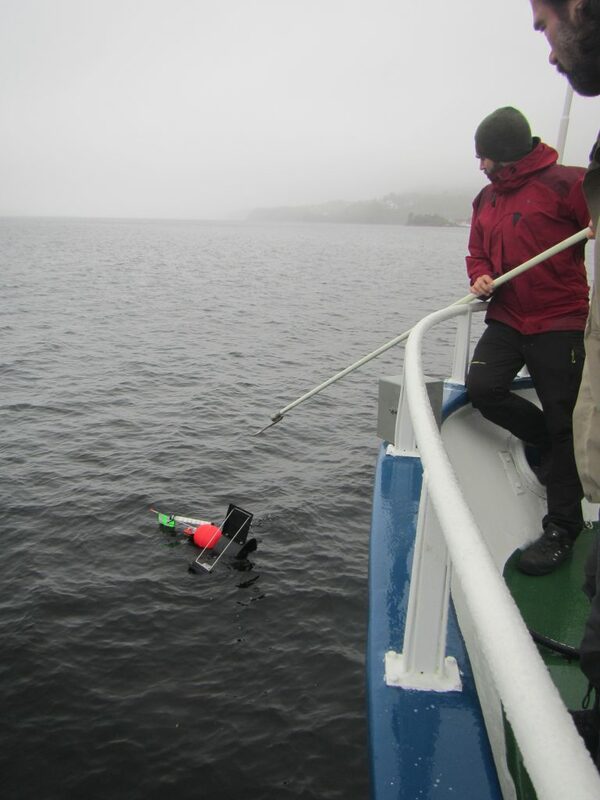 When the bottles are all open, the rosette can be lifted off the deck and into the sea. 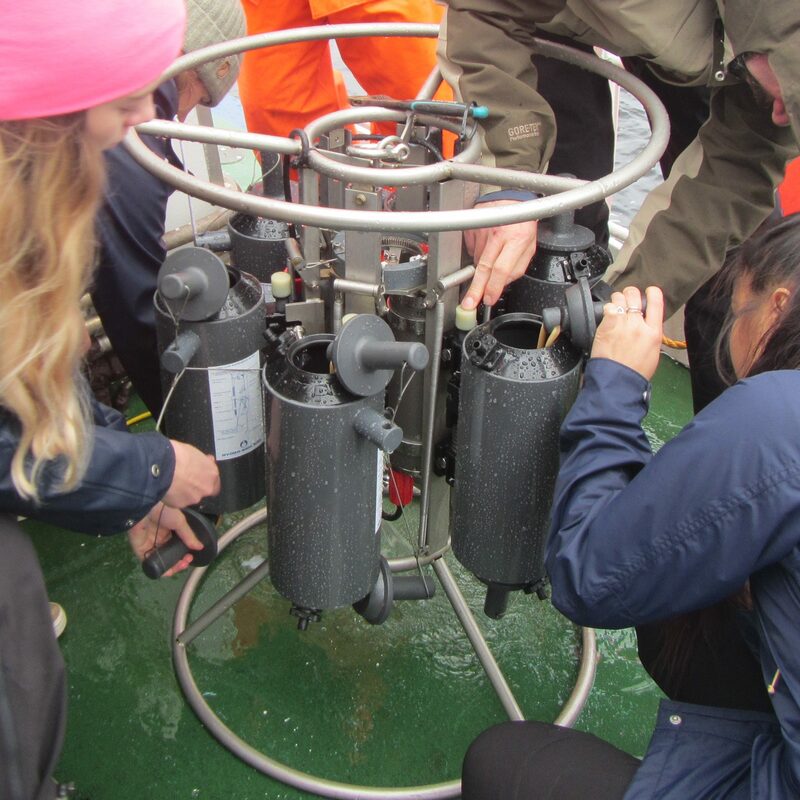 Usually, rosettes are equipped with instrumentation in addition to the Niskin bottles, usually a CTD, measuring conductivity (to calculate the salinity from), temperature, and depth (actually measuring pressure, which converts easily into depth). I contributed to a very nice movie about how CTDs work a couple of years ago, check it out! And now the rosette is finally in the water. 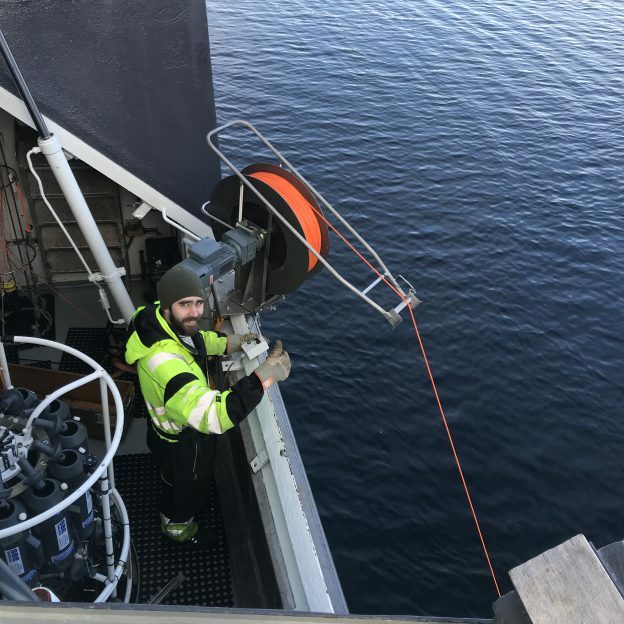 This entry was posted in observation and tagged Bergen, CTD, GEOF105, research cruise, RV Hans Brattstrøm, student cruise on October 2, 2018 by mglessmer. A bicycle safety flag, a plastic bucket, four paint roller trays — what are those people doing there?! Until now this might almost count as kitchen oceanography! 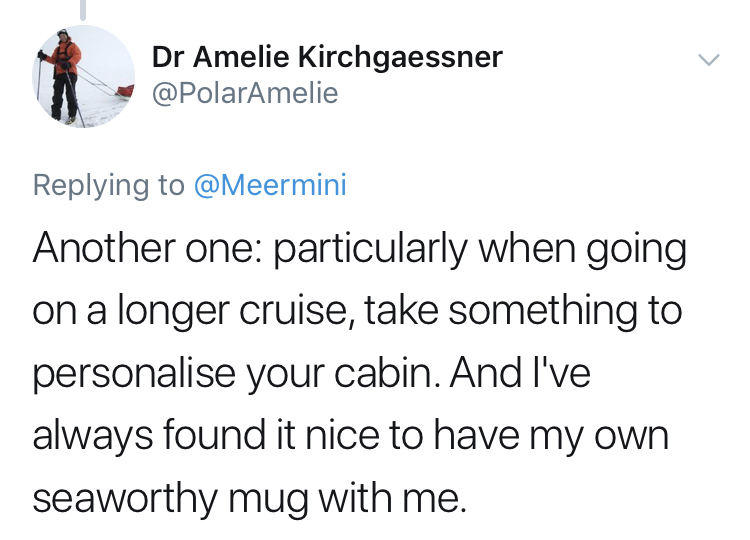 But it’s only almost kitchen oceanography; at least my kitchen isn’t usually stocked with GPS trackers, which is what is mounted on this contraption. 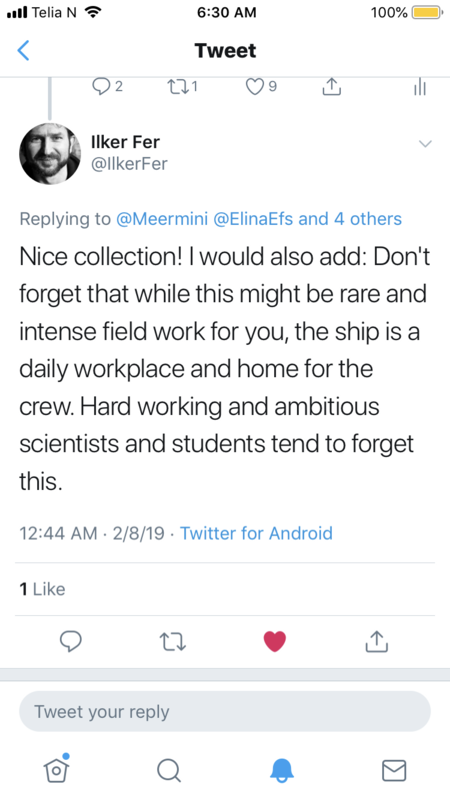 Let alone the research ship we used to deploy it. 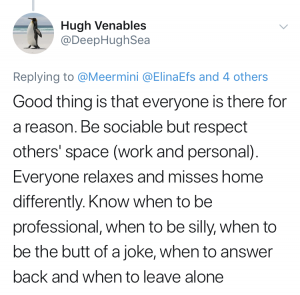 So this must surely count as real oceanography then! Above, you see Lars Henrik and his students deploying a surface drifter. 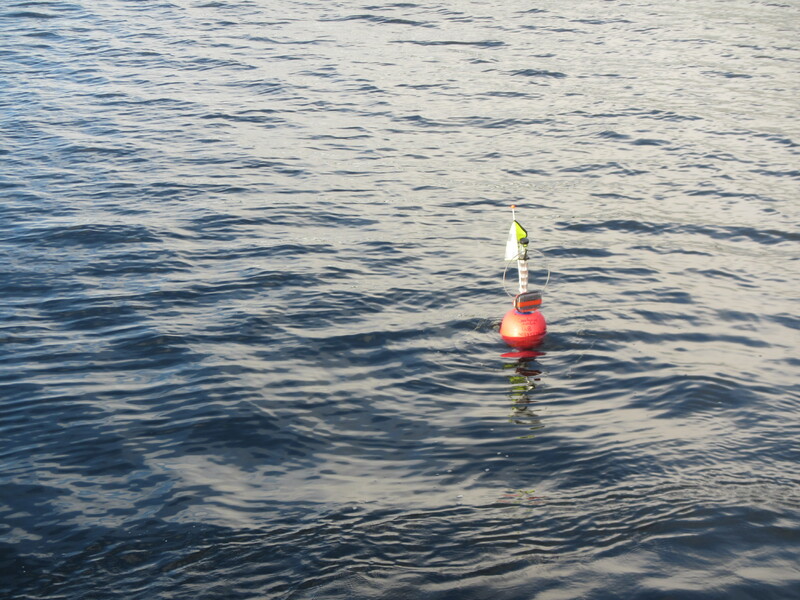 The red buoy keeps it floating at the surface, the chain hanging below is heavy enough to make sure it stays upright. The bucket and four paint roller trays act as sea anchor so the whole thing moves with the water rather than being blown about by the wind. 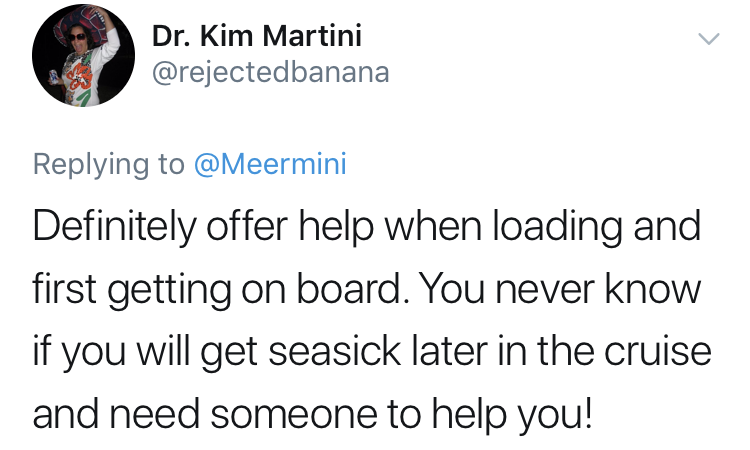 A safety flag, radar reflector and light make sure nobody accidentally sails over it, and the GPS sender lets the position be tracked. 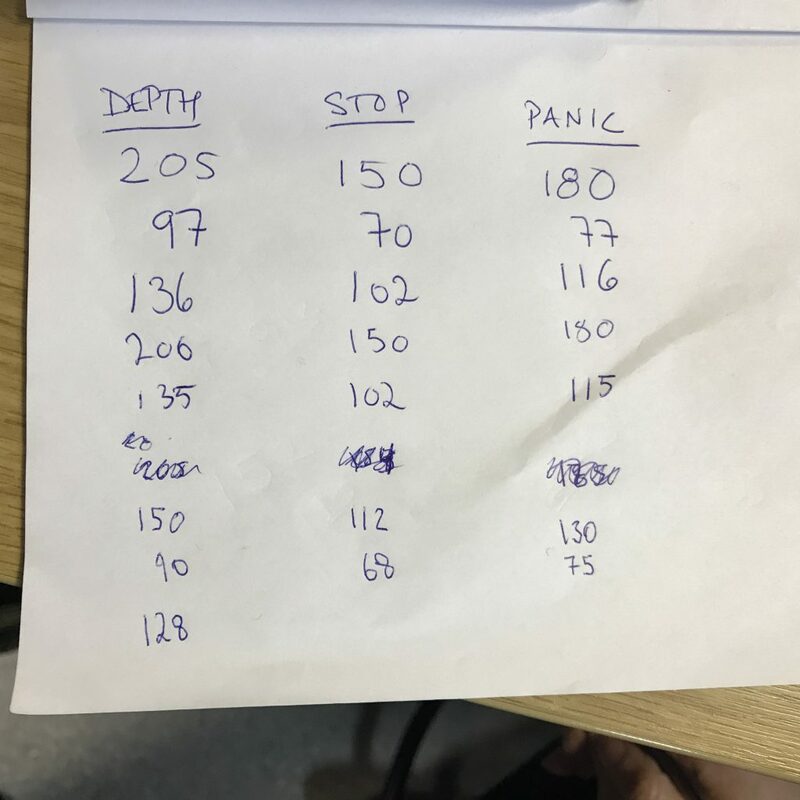 Above, you see what it looked like when we had already deployed three of our four surface drifters (the red ones that are moving so slowly that the software tells us they aren’t moving at all), while the fourth one is still onboard the ship, moving to the position where it will be deployed (the green one moving at 3km/h). Follow their positions on your mobile device! 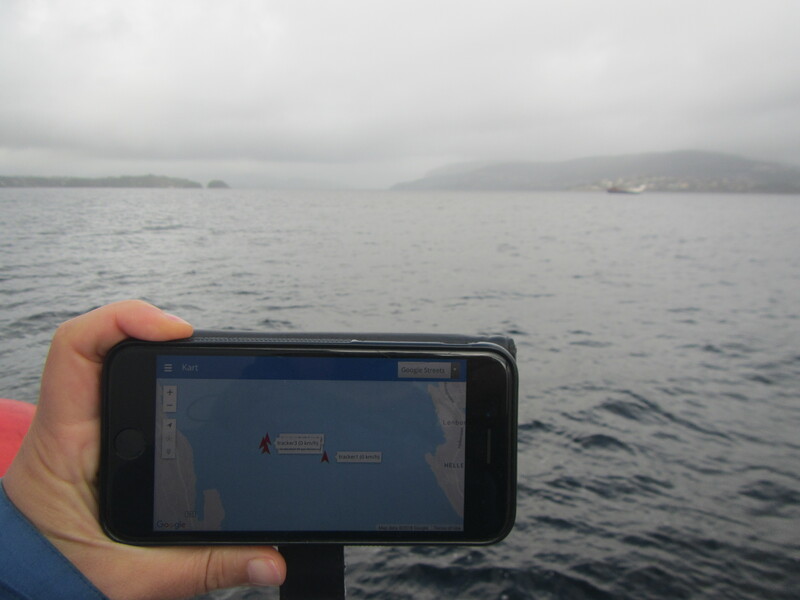 Following surface drifters’ paths in real time is pretty awesome in itself, but what makes it even better is that the GPS positions can be accessed online from any device. 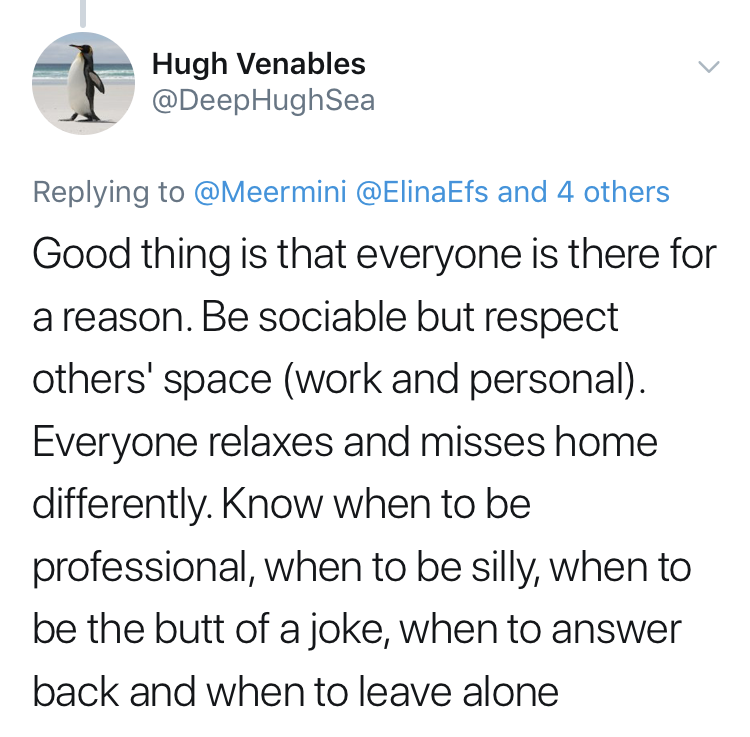 Below, for example, you see the positions on my phone with the drifters behind it in the water (if you look really closely, that is. But they were there!). What you also see is that three of the drifters have huddled together after a couple of hours out in the fjord. Nobody really knows why yet, but that’s what we are here to find out! 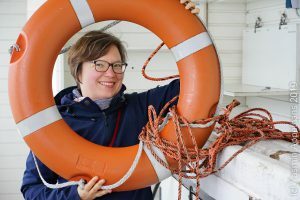 Just from observing the wind and the movement of the drifters throughout the day, it seemed that the surface circulation in this fjord is dominated by the wind over the tides. 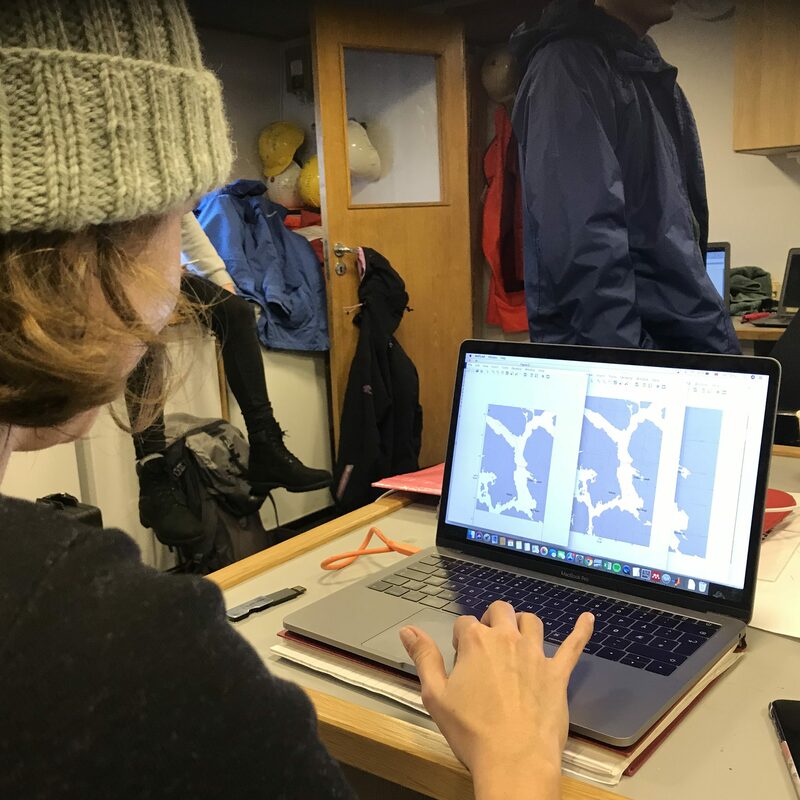 But there will be a Master’s thesis written on the data we collected today (plus a lot more data and a regional ocean model!) so we’ll soon know how good my assumptions are and what really drives the surface currents here. 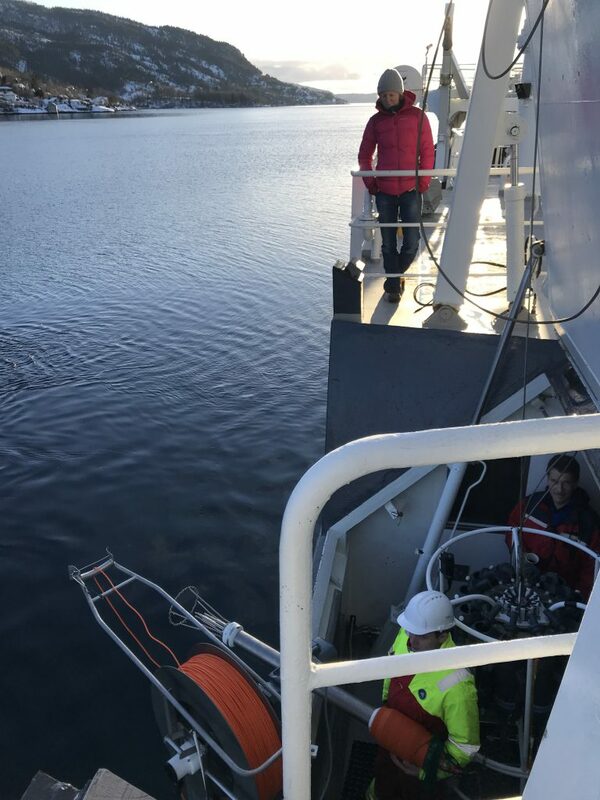 And everything got recovered safely and made it back to port — ready to be deployed again tomorrow to gather more data and understand the fjord a little better. Exciting times! Thanks for letting me be part of this GEOF105 adventure, Lars Henrik! 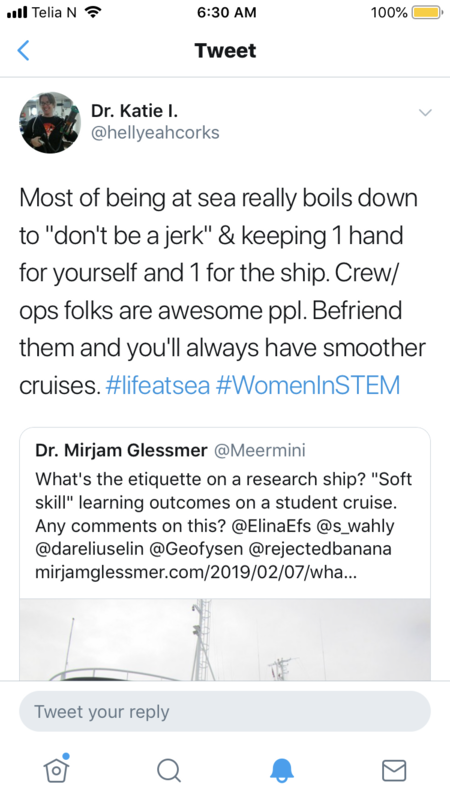 This entry was posted in observation and tagged Bergen, drifter, GEOF105, research cruise, RV Hans Brattstrøm, student cruise, surface drifters, trajectories, trajectory on October 2, 2018 by mglessmer. 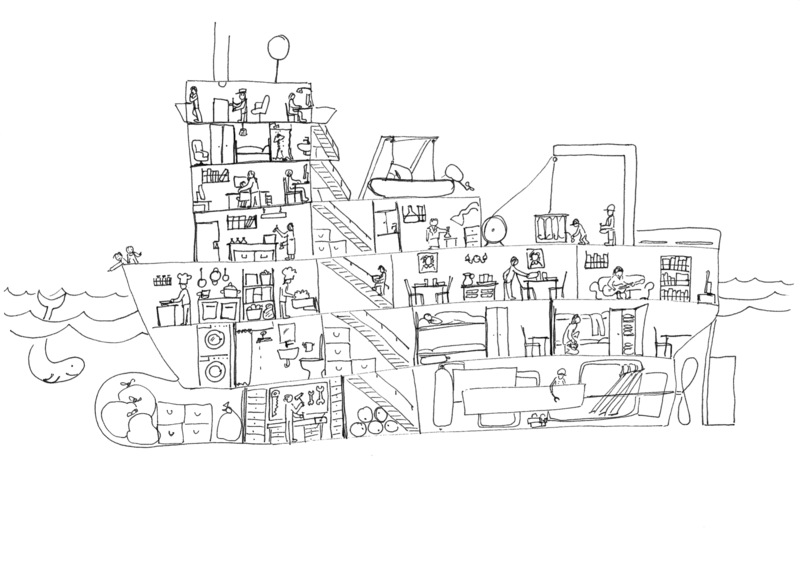 Wanna know why I am drawing a research ship “Wimmelbild”*? Check out the blog post over at our #SciCommChall blog to find out why! 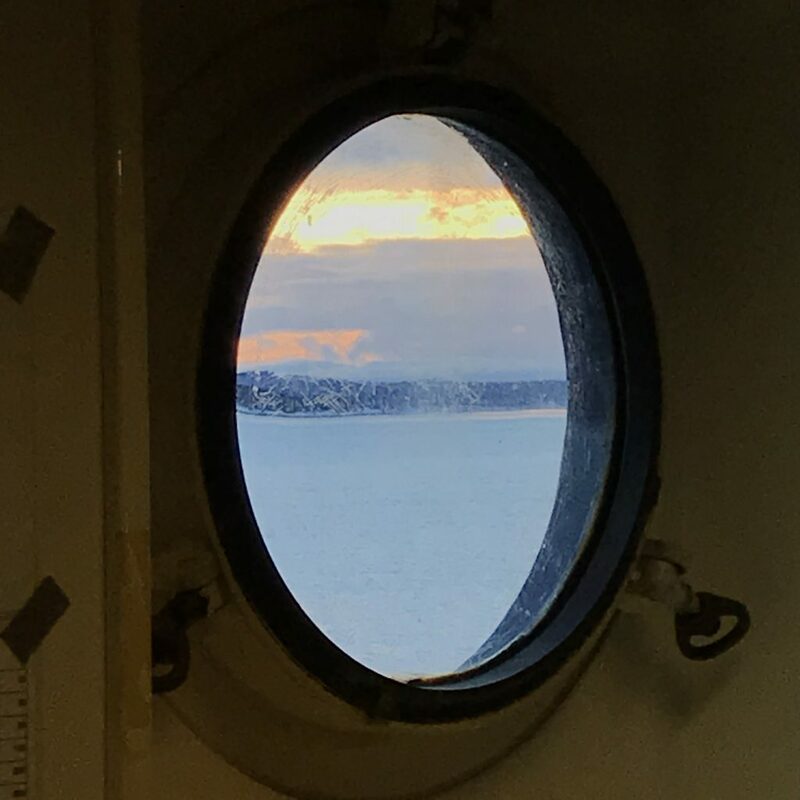 This entry was posted in #SciCommChall and tagged research cruise, Wimmelbild on May 2, 2018 by mglessmer.